eDiscovery is the process of legal electronically stored information (ESI) review. It mirrors the regular legal discovery process, but has the added complexity of dealing with electronic documents. Electronic discovery – also known as eDiscovery – is the process of collecting, reviewing and tagging electronically stored information (ESI) for use in a legal case. The eDiscovery process can be extremely complex, as there is a multitude of file types that can be used (emails, voicemails, videos, web sites, social media posts, databases, etc.) and many rules governing legal use. Just as there are rules concerning the collection, preservation and presentation of physical evidence, there are comparable rules for electronic documents. eDiscovery software is used throughout the eDiscovery process. Electronic files must be preserved in a specific way to qualify for legal use. Metadata — i.e., information such as what’s in a file, when it was created, who created it, who received it, and other timestamped information relevant to the creation of the document itself — must be preserved to verify the document as original and unaltered. Being able to confirm a document’s veracity as an unaltered piece of content is vital to the document’s inclusion in a case. Once a file is identified as relevant to a case, a “legal hold” is placed on the file. The legal hold directs that the files cannot be deleted, destroyed or changed in any way. Once the legal hold is placed on the files, those that are potentially relevant are identified by the eDiscovery software, removed and placed in a database. The software scans the t files and identifies and separates the relevant from the non-relevant. The relevant files are placed in a secure digital space. From here, humans take over the process. Paralegals and lawyers go through the documents — a process known as document review. Certain documents are converted to a different file format, often a PDF, to allow redactions of privileged information. Redactions can also be used to block irrelevant information from being viewed in an otherwise relevant file. Related: Check out the top free PDF editors in 2019! Once the relevant files have been reviewed, they go through the document production process, which refers to the readying of files to be presented in court. They are governed by a separate set of directives regarding production of electronic information. Once produced, the files can then be presented in a court of law. eDiscovery software was originally used in a small portion of the process. But as technology became increasingly important in life and business, solutions began expanding to encompass the entire eDiscovery process. The increase in the number of comprehensive solutions, and the legal system’s acceptance of electronic files as evidence, has led to a massive market. The eDiscovery software market is expected to be worth over $17 billion by 2023.
eDiscovery may seem like a tedious process, but it’s immensely important in today’s courtrooms. Entire rulings may come down to the content of emails sent by a corporate executive. More information than ever is stored electronically, and its admissibility in court can make or break a case for either the prosecution or the defense. The entire goal of the eDiscovery process is to compile a base of legally admissible, relevant documents on which both prosecution and defense can build their case. Lawyers are required in many states to be technologically competent, meaning they must have an in-depth understanding and working knowledge of eDiscovery. As the amount of ESI increases and more and more outcomes hinge on the inclusion or exclusion of electronic files, eDiscovery is also becoming increasingly important. 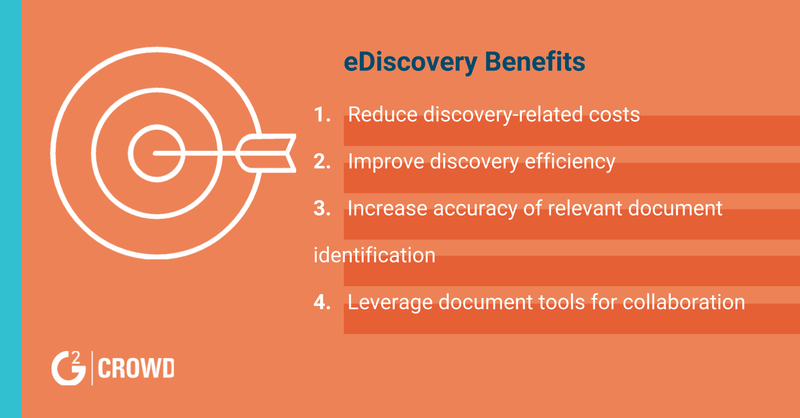 eDiscovery solutions provide law firms and legal departments with a host of benefits. They improve the entirety of the eDiscovery process, making it more efficient, less costly, and boost the rate of accuracy in identifying relevant documents. In recent years, AI has become a fundamental part of eDiscovery. Predictive coding-based AI applications parse massive data sets armed with knowledge about document relevance, and applies that knowledge to suss out documents that are relevant to the case at hand. In a nutshell, that’s how AI and eDiscovery are intertwined. There are a multitude of terms used when referring to AI in the context of eDiscovery. “Predictive coding,” “technology-assisted review,” “AI,” and “machine learning” all refer to the same thing: AI-driven eDiscovery. Legal teams do have some work to do to ensure that the AI pulls relevant documents. This is done by first inputting a “seed set,” which refers to a cross section of documents from the entire set to be analyzed. The team tags relevant and irrelevant documents in the seed set and feeds that information to the application. Based on those seed documents, the software produces an algorithm to parse that group of files. The algorithm then searches additional documents, and the team reviews the results and tweaks the algorithm as needed to produce the desired result, i.e., the identification of all relevant documents in the data set. Once that’s finished, the team has the software scan the remaining documents to identify relevant and irrelevant ones. eDiscovery is generally accepted as valid practice and the eDiscovery market is expected to continue its rapid growth. When predictive coding (AI-assisted review) became prevalent, there was a good deal of interest as to how the courts would treat the new technology. A ruling in 2012, da Silva Moore v. Publicis Groupe, set the precedent that predictive coding or AI-powered discovery and document review was a valid way to review documents. Subsequent rulings have upheld da Silva Moore, establishing predictive coding as the standard for document review. 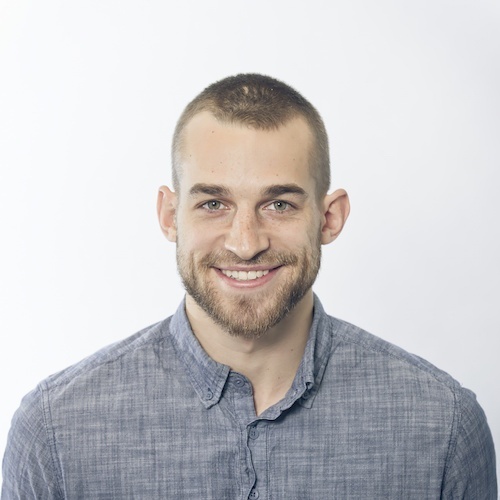 eDiscovery, particularly AI-powered eDiscovery software, will continue to increase in prevalence for the foreseeable future. Check out our legal practice management software category to see hundreds of user-generated reviews on products in that category.